Dr. Gopalarathnam directs the NCSU Applied Aerodynamics Group. 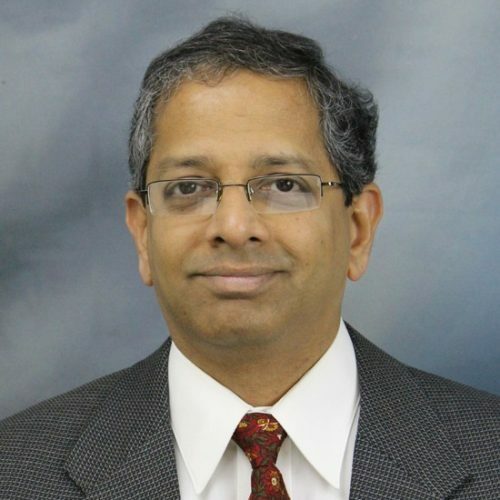 Dr. Gopalarathnam (referred to by his students as Dr. G) is committed to the development of innovative and useful ideas, concepts, and methodologies for the design of aircraft, other types of vehicles, and for alternative-energy systems. He is interested in applied aerodynamics, flight mechanics, aircraft design, adaptive aircraft, and design methodologies. At the graduate level, Dr. G teaches Airfoil Theory (MAE 551) and Wing Theory (MAE 561). In these courses, the students look beyond theoretical methods in aerodynamics and address practical requirements in the design of airfoils and wings. At the undergraduate level, Dr. G teaches Aerodynamics of V/STOL vehicles (MAE 452) and Flight Vehicle Stability and Control (MAE 462). In MAE 462, his students do team projects in which they design/build/fly micro-gliders. The graduate students who work with Dr. G are motivated and have an interest in flight and aerodynamics. During their studies, they are exposed to a mixture of theoretical, experimental, and computational methods applied to the design of a wide range of aero-hydrodynamic systems. His students work on sail boats, race cars, aircraft, and wind turbines, to name a few. Outside of work, Dr. G spends time with his family and enjoys recreational flying when time permits. Dr. Gopalarathnam is presently 1) developing adaptive aerodynamics for morphing aircraft, 2) developing aerodynamic prediction techniques for flight dynamics simulations, and 3) studying unsteady and post-stall aerodynamics of aircraft, helicopters, micro-aerial vehicles, and flight in nature. In MAE, Dr. G works with Dr. Edwards, Dr. Wu, and Dr. Peters. The research proposed in this effort aims to combine the prediction techniques and knowledge gained from the past efforts into developing a fast low-order aerodynamic prediction method for full-aircraft configurations (wing+tails+fuselage) and assess the suitability of this method for use in real-time simulation of flight dynamics. In this project we will continue further research on aerodynamic modeling of close formation flight of aircraft and their interactions. In this research, we propose to study the effects of upstream vortical and viscous flow disturbances on the unsteady aerodynamics of airfoils undergoing prescribed motions and on the aeroelastic characteristics of flexible airfoils. In this research effort, we will develop a vortex lattice method for determining the incremental loads on one aircraft flying in the vicinity of another, for the purposes of developing aerodynamic models for simulation. We propose the development of low-order aerodynamic prediction methods for aircraft configurations at post-stall conditions, using computational fluid dynamics to help guide the development. The objective of Project Angelfish is to develop a dual-purpose (air and water) unmanned system, referred to as Angelfish. The system to be developed will be capable of locomotion and controlled maneuvering in both the aerial and subsurface domains. The air-purpose performance (flight distance, duration, etc.) is to be minimally compromised by the water-purpose requirements, and the transition between air and water are to be as reliable as possible, again with minimal performance penalty (power). The goal of the effort is to develop alternative designs that lie throughout the trade space and to focus the further development on the most promising design or set of designs. Micropillar arrays will be developed for shear stress measurement in NCSU subsonic wind tunnel. Micropillar array sensors will be characterized first, and then assembled into a test model and calibrated in the wind tunnel. Such a measurement device enables new aerodynamics research needed to design more fuel efficient, quieter aircraft with improved dynamics for smoother and safer flight. In this project we will develop aerodynamic sensing on an airfoil using miniature pressure transducers. A research collaboration between Dr Joseba Murua (University of Surrey) and Prof Ashok Gopalarathnam (North Carolina State University) is hereby proposed for the second call for proposals of the University Global Partnership Network (UGPN). The collaboration will tackle the multi-physics interaction between fluids and structures, focusing on the development of design-oriented modelling tools applicable to both wind turbines and aerospace vehicles. The aerodynamic efficiency of aircraft and wind turbines can be maximised using low-weight and slender wings/blades operating at conditions just short of aerodynamic stall. However, light, slender and thus flexible structures exhibit coupled fluid-structure behaviour, increasing the likelihood of reaching stall, a sub-optimal flow regime. A design-oriented computational tool that captures this fluid-structure interaction and accounts for stall is proposed, integrating the so-called decambering approach into a flexible aircraft model. The resulting multidisciplinary framework will be applicable to a wide range of current and novel systems in both aerospace and wind power, filling a niche area for fast yet accurate simulation capability. The project will be based on the placement of a PhD student, and the outcome of the research will be published in a flagship international aerospace conference and a high-impact journal. The project is also expected to establish the foundations of a long-term collaboration that will focus on exploiting fluid-structure interaction to optimise aerodynamic performance in next-generation technologies. In this project, we will computational fluid dynamics studies of two-dimensional and three-dimensional simulations of dynamic stall to guide the development of low-order prediction methods and to gain insight into the flow physics.